Soccer fever is also running high in South Africa's wine country these days. And with it, there's an overall spike in sales, to countries competing in the tournament. 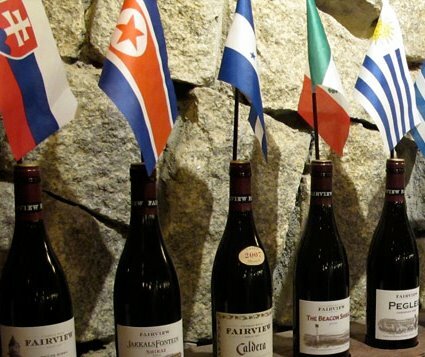 And there is no doubt that South African wines are benefiting from the World Cup. In previous decades, South Africa's isolation during the apartheid years held back both innovation and international expansion in the wine industry, but since the dawn of democracy the country's wines have become far more palatable and are increasing in popularity around the globe. South African winemakers now say that they can compete with the rest of the world but at home, the situation has been more complex.